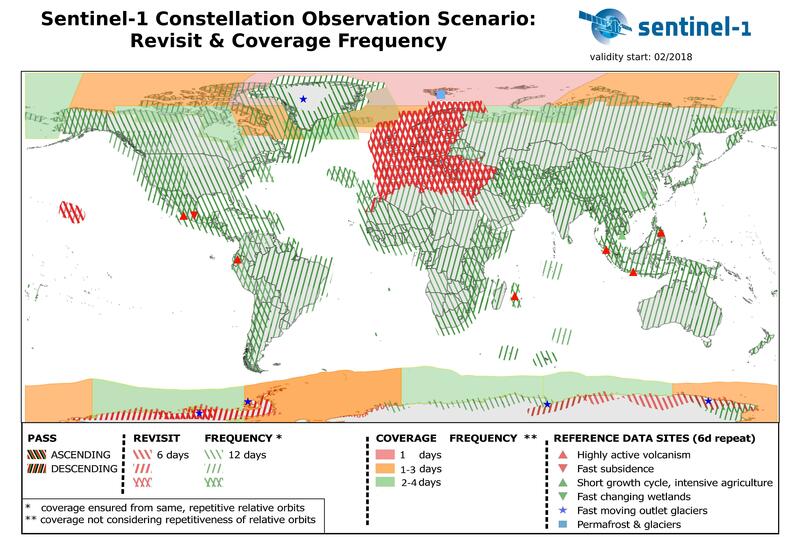 The main source of information for deriving ground motion data are Synthetic Aperture Radar (SAR) data from the ESA Copernicus Sentinel-1 mission. This mission provides full coverage of USA from at least one (many areas from two different) observation geometries (ascending or descending) every 12 days. From these data, ground motion can be derived using InSAR time series analyses. There are many different InSAR processing concepts, and common to all is an end product consisting of a set of ground motion time series valid for specific points or pixels, with a corresponding quality measure. SILLE uses cutting edge technology and scientific findings integrated to the system. Among our partners are the key scientists in the world of Interferometric Synthetic Aperture Radar Persistent Scatterer InSAR science. InSAR is a technique that determines the component of movement along a vector parallel to the satellite-to-ground line of sight (LOS) vector, relative to a chosen reference point. Each point on Europe’s surface is imaged regularly from both ascending (north going) and descending (south going) orbits. Since the Sentinel-1 satellites are side looking, the result is that the velocity of each point can be measured along two different lines of sight, one looking east and one looking west.